Nanoscience and emerging technologies are a key development of our times, marked by their constitution through expectations and visions, new ways of organizing research and changing modes of technological governance. They raise new sets of questions: How should science and policy relate? Are science and society converging in new ways? What is the relationship between representation and intervention? 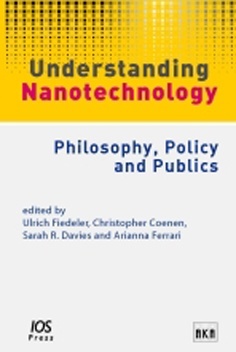 It is with such questions that this volume – based on contributions to the inaugural conference of the Society for the Study of Nanoscience and Emerging Technologies – is concerned. It takes seriously both the sweep of different technological application areas emerging into contemporary society and the range of approaches that can and should be applied to thinking through their implications. Highlights include: An investigation of nano-objects and their meanings; Discussions of new approaches to the governance of nanotechnology; Discourse analyses of European media and policy texts; Analysis of how nanotechnology is changing the US national innovation systems; 'From bio to nano’ comparisons.